The show is hung. Lesli did an amazing job. I was just over there checking it out and oh my. I always forget the impact of seeing a room full of my own art. I never quite grasp the collection when it's stacked in my hallway or leaning everywhere drying or half framed. But there it is, the end show and what more could I ask for? The entire feel of it is on mark. It flows and feels wonderfully serene. I'm so excited and hope you will join me Friday night for this one-off, one night show. It's a rare opportunity to see some of my originals, all together, all displayed. Saturday will be open for 2 hours and for art pickup so if you want to see it all, Friday evening is the time. This tiny show, in an intimate and relaxed space, is just right for me and, I think, for the 25 paintings on display. Hope to see you there! A Pop Up Art Show! I so rarely do shows and I'm quite excited. I like pop ups. They are a fun and social micro art event. You blink you could miss it! This show is hosted by Lesli Ellis, Random House - a longtime friend and art supporter. 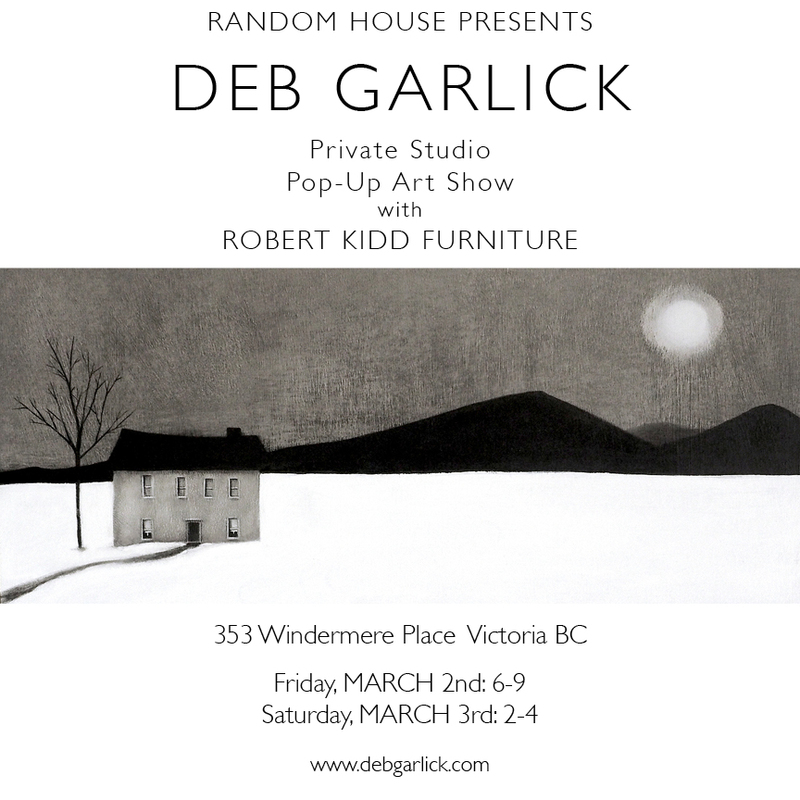 Robert Kidd will also be displaying his handcrafted furniture.